Island Time has full bar service (available as cash bar or with multiple packages to choose from), premium sound system inside and out on both levels to create the perfect atmosphere. 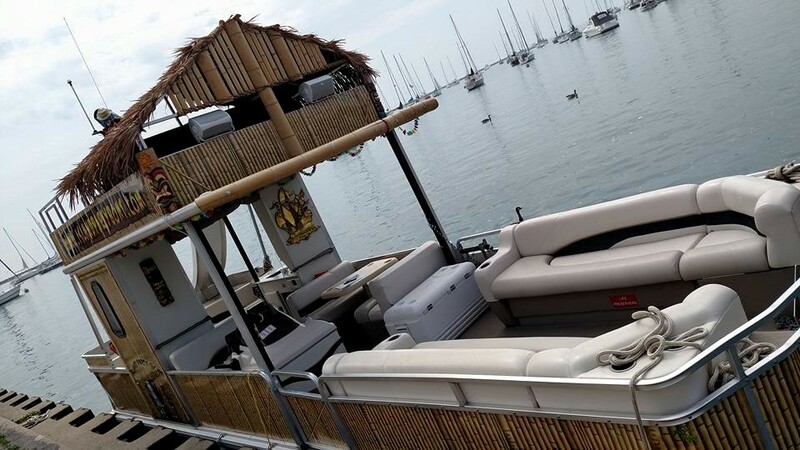 This party boat is equipped with an auxiliary cord that can be used with most phones, computers, or tablets, so you can bring your own favorite music playlists, or let us play DJ and pick the music for you! Notable features aboard this vessel: Main dining room seating for 58, upper deck space for 48, bow walk out area, two large bathrooms, food prep area, 40" LED TV, support Air Conditioning, Microwave, and a Premium Sound System. The Big Kahuna has a premium sound system featuring 8 speakers both inside and out on both levels to create the perfect atmosphere. This party boat is equipped with an auxiliary cord that can be used with most phones, computers, or tablets, so you can bring your own favorite music playlists, or let us play DJ and pick the music for you! 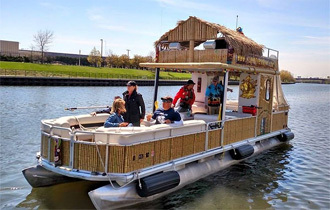 Like her sistership she is a 50 foot Tiki/Island themed party boat outfitted for comfort and fun with many conveniences for guests. 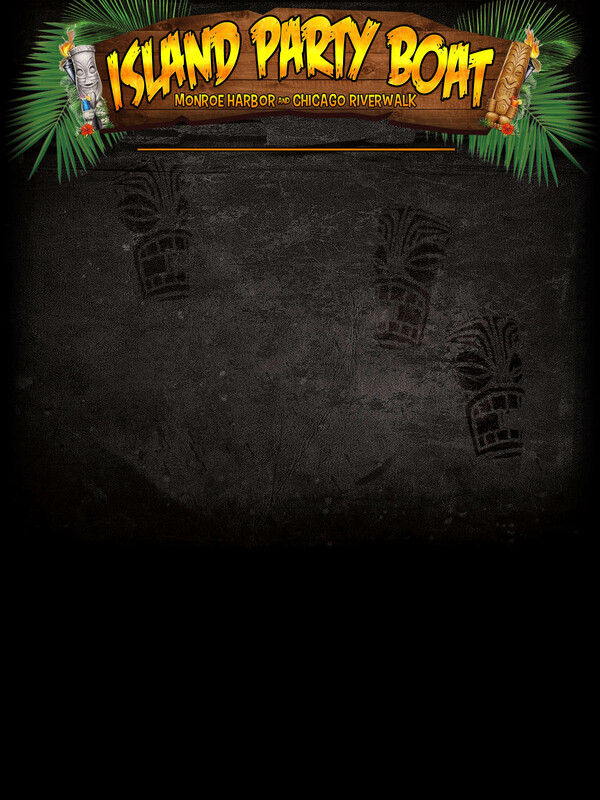 The Grand Luau has a premium sound system featuring 8 speakers both inside and out on both levels to create the perfect atmosphere. This party boat is equipped with an auxiliary cord that can be used with most phones, computers, or tablets, so you can bring your own favorite music playlists, or let us play DJ and pick the music for you! 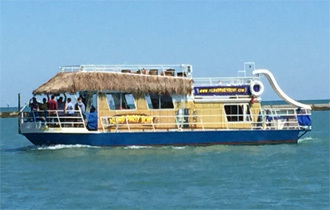 43 foot tri-hull-toon Party Boat, the biggest of our tiki pontoon boats. Take a plunge in to Lake Michigan from the long water slide. It's waxed up on a daily basis and is a ton of fun. 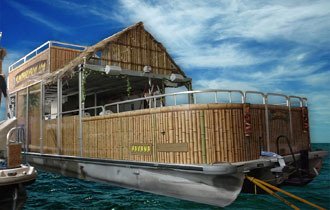 Once you are in the water, relax on one of our rafts, compliments of the house. Havana has an 8 speaker premium sound system, aux cord ready, so bring your favorite music device, or party to one of our many song lists. The boat has a ton of space. 36 foot tri-toon Party Boat. This baby has been outfitted for safety, comfort and fun! Take a plunge in to Lake Michigan from the long water slide. It's waxed up on a daily basis and is a ton of fun. Once you are in the water, relax on one of our rafts, compliments of the house. Poly has an 8 speaker premium sound system, aux cord ready, so bring your favorite music device. The boat has plenty of island character, including her mascot, the "Rusty Pelican". A drunken night in the Abaco Islands is to thank for her name. 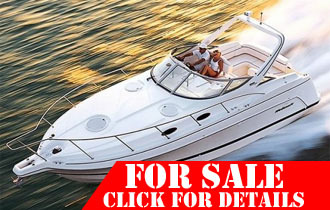 3000 Martinique is sporty and elegant. At 34 feet LOA the cockpit is spacious with plenty of seating and table room. The contemporary styled cabin features designer fabrics and soft-touch vinyl seating. The comfortable head compartment has ample counter space, a molded sink with Granulon countertop, a shower, a mirror and a SeaLand VacuFlush head (toilet) with holding tank. 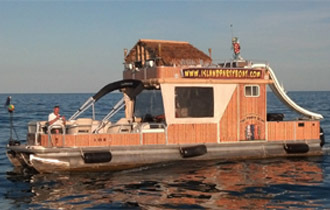 Come party on Island Party Boat's newest boat, OHANA, "The Party Cat!" This is no ordinary catamaran. This luxurious and beautifully appointed 35 foot Catamaran is new and ready to welcome you to the Islands right here on Lake Michigan. The Catalina class are a fleet of 30ft Catalina Sailboats. 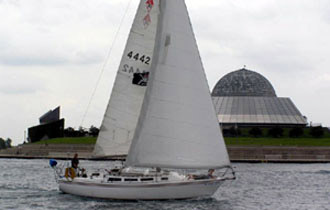 Learn sailnig basics from our USCG licensed captains or just sit back, relax and enjoy the great Chicago skyline. 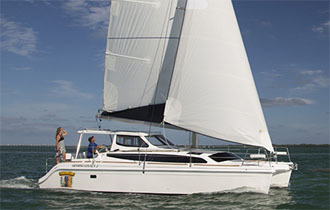 Our Catalina 30's offer a large and comfortable cockpit, roller furling headsail and many other features.